Sorry, the article you are looking for is not available in this language. Please click here to go to the front page. Although fiat currency is progressively losing the race, Bitcoin and similar Cryptocurrencies face various legal issues. Russia (banned outright), Bangladesh, China, Thailand are few examples of anti-coin countries, but why exactly did they make such harsh decisions. To better understand the topic lets examine how the world treats Cryptocurrencies. Introduced in late May, the U.S. Senate would require people leaving or entering the country with $10,000 or more in cryptic value to declare a complete account of their holdings to the Border Protection agents and U.S. customs. This bill was introduced to ‘Combat Money Laundering, Terrorist Financing, and Counterfeiting Act of 2017.’ This regulation is currently applied to money orders and cash. As a result of this bill being implemented, not only Cryptocurrencies are subject to disclosure, but also coupons, prepaid mobile phones, and gift vouchers. Punishment for disclosing information (if the bill passes of course) include civil asset forfeiture (government takes control of all your properties without even an arrest or criminal conviction) and up to 10 years in prison. Many people call for the immediate drop of this bill since it violates the 4th amendment, which protects citizens from unreasonable seizures and searches. As such, selling Bitcoin should not involve any criminal offences, but evidently it violates the Banking Secrecy Act in the U.S. without a proper license. A neurologist from Pheonix, Arizona has been charged by the Department of Treasury’s Financial Crimes Enforcement Network (FinCEN) for operating an unlicensed money transmitting business. Dr. Stenmetz received an anonymous donation of about $10,000 worth bitcoin to help fund his new research. Back in 2014, he told The Republic that, “This is a novel way for research to be funded. It’s almost appropriate actually, that a cutting-edge method of funding is used to fund cutting-edge research” He was apprehended shortly after, he is one of many. One of the main reasons Cryptocurrencies face legal issues is that they are not subject to taxation. Due to its pseudo anonymity if used correctly, bitcoin usage is a tool for hiding assets and reduce taxation. While bringing in or storing a Bitcoin private key online makes bringing in money past border checkpoints much easier when compared to bringing large sums of foreign currency into a country. Although some countries have legal loopholes, typically avoiding taxation is a crime. But how can you pay taxes when the exchange rate is extremely volatile? As such this is a dilemma law makers will have to overcome in order to proficiently solve this case. This is one of the more obvious points since you can literarily move money between countries within seconds with no monitoring. Since blockchain ledgers are public, laundering large amounts of money is extremely risky, regardless, there are many loopholes, and police is learning how to analyze the public ledger better to see where the money is going. Large thefts of Bitcoin prompting industry action. Bitcoin taxation in the States, eventually declared Bitcoin an asset. EU court hearings on weather VAT applies to Bitcoin, conclusion: it is VAT free. Mt. Gox is a prime example of Bitcoin theft and lack of legal protections for consumers, which pressured regulators to do a better job. U.S. had a widely discussed taxation topic, which eventually led to Bitcoin being classified as an asset for solely taxation purposes. Since Bitcoin transactions are basically a one-way transaction, there is no option of a chargeback in case of a scam, but this can also be used as an argument for the prevention of fraudulent chargebacks. Online Drug markets such as the silk road was able to survive for such a long time thanks to the anonymity of Bitcoin, although the loophole, which helped the FBI find the real location of the server, was the sites design, which after years of investigation became evident. Although this process involved some corrupt FBI agents trying to steal coins, they were brought to light thanks to (partially) blockchain’s publicity. A self-regulatory Chinese association has issued a new warning regarding digital trading activities. In a statement on 13th September this year, China’s National Internet Finance Association (NIFA) asserted that bitcoin and similar Cryptocurrencies is a tool for investor speculation, while also serving as a payment method for money laundering and illegal fundraising. This statement was released not long after a warning on ICOs (initial coin offerings) was released followed by a complete ban on exchanges and other services on ICO’s. Even though China has one of the biggest, if not the biggest economy in the world, the block on Cryptocurrencies had an extremely small impact on bitcoin value, which implies that bitcoin is more of a global conscious when compared to a single cell. With Bitcoin’s increasing popularity, more legal precedents are likely to occur in the coming times. Most countries are considering understanding its legal frameworks better and working towards regulating new laws, which would both benefit the user and government, in the process eliminate as many loopholes as possible. 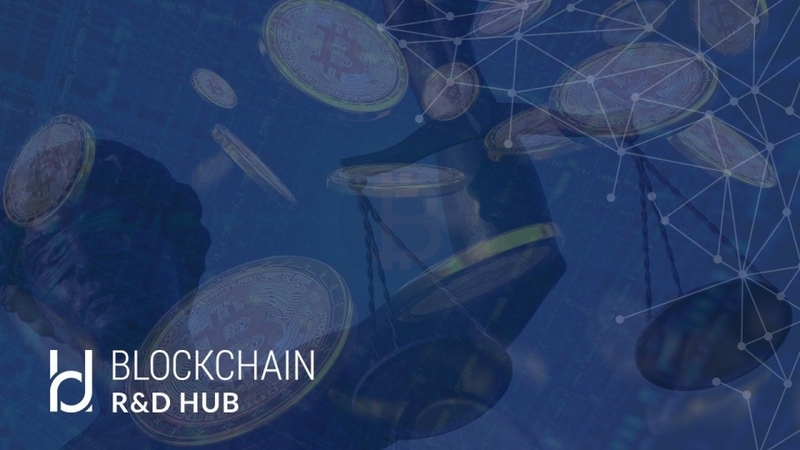 This article was focused on the legal issues surrounding Cryptocurrencies, but as such, it is a tool to battle corruption, crime, distrust between two parties and much more, all that needs to be done is work together to formulate a better understanding of how to overcome the mentioned legal issues, and with bitcoins increasing popularity, governments have no choice but to come up with incentives, not bans.